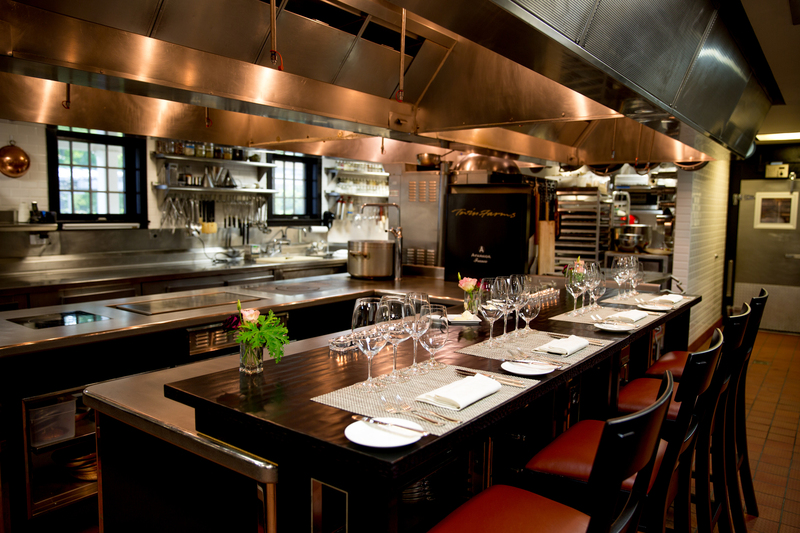 The Twin Farms cooking program allows guests to observe the culinary team as they prepare a meal. 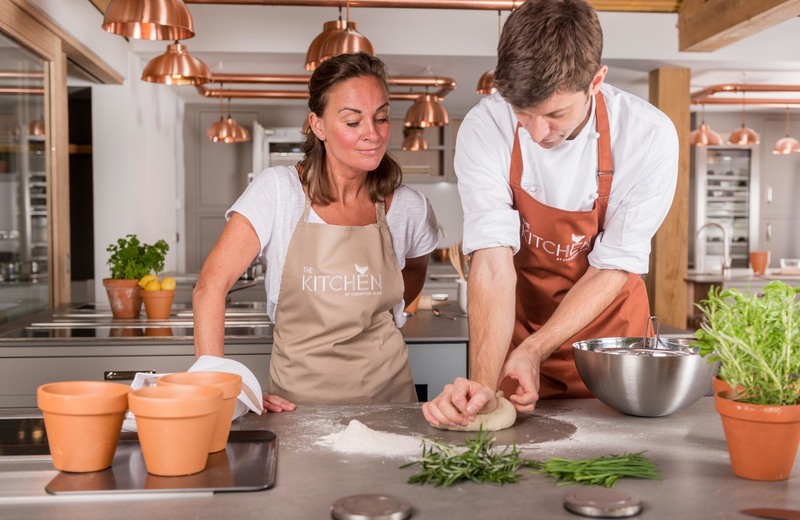 As of April 2017, Chewton Glen will offer a range of classic cooking classes. 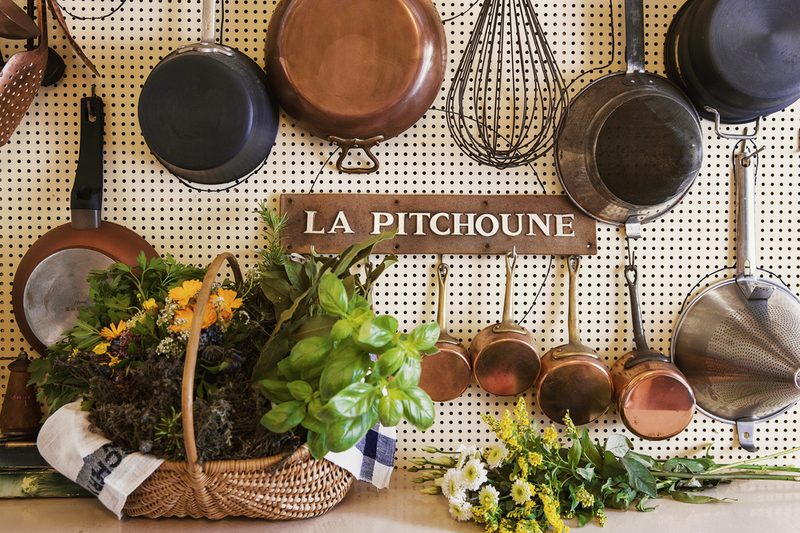 Guests can take part in a culinary retreat at La Pitchoune, Julia Child’s former Provence vacation home. 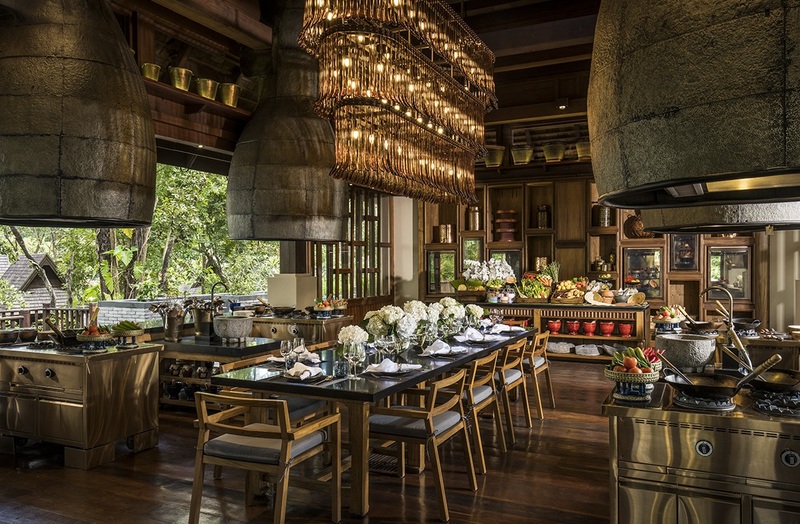 At the Four Seasons Resort Chang Mai, guests can learn to cook northern Thai cuisine. 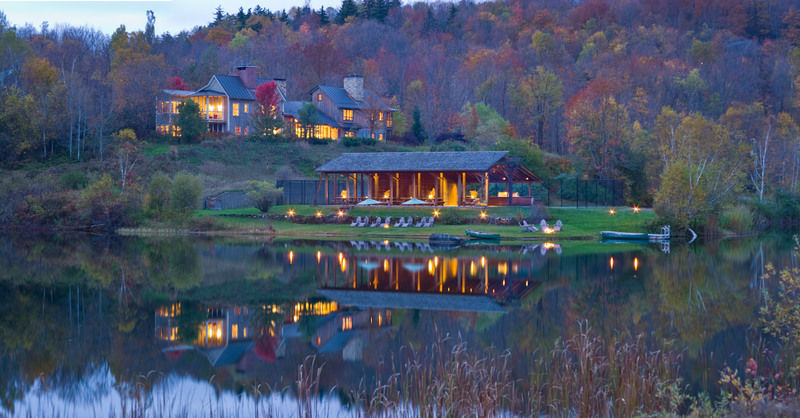 Located in rural Vermont, Twin Farms is an 18th-century farmhouse property known for its five-star cuisine. Nicknamed “La Peetch”, Child’s former vacation home is taking on new life as a destination culinary retreat. Guests can hone their cooking skills in the kitchen designed by Child and her husband. Food and travel are two of life’s greatest pleasures, and for many, a good local culinary scene qualifies as reason enough to plan a trip. But for those who want more—to master recreating local dishes themselves—luxury accommodations are increasingly offering hands-on cooking classes. From Vermont’s rolling greens to the rosé-rich terrains of Provence, on-site resort cooking schools and culinary programs beckon guests to retreat, unpack, and head straight to kitchens where resident chefs offer an invaluable souvenir: culinary skill. Seasonal changes are delightfully drastic in rural Vermont, and Twin Farms is known for capturing their contrasting flavours in rotating menus. Once owned by the Nobel Prize-winning writer Sinclair Lewis, the 18th-century farmhouse property is now most famous for its five-star cuisine, which, as of this winter, guests can learn to replicate in a new, surgical theatre-style demonstration kitchen. Designed in part by executive chef Nathan Rich, the “Chef’s Table” program allows guests to observe the team from a special cooking suite as they select and prepare choice ingredients (many sourced on-property; others from nearby farms), dishing out tips and commentary along the way. For centuries, the most challenging activity at Hampshire’s Chewton Glen took place on the croquet lawn. 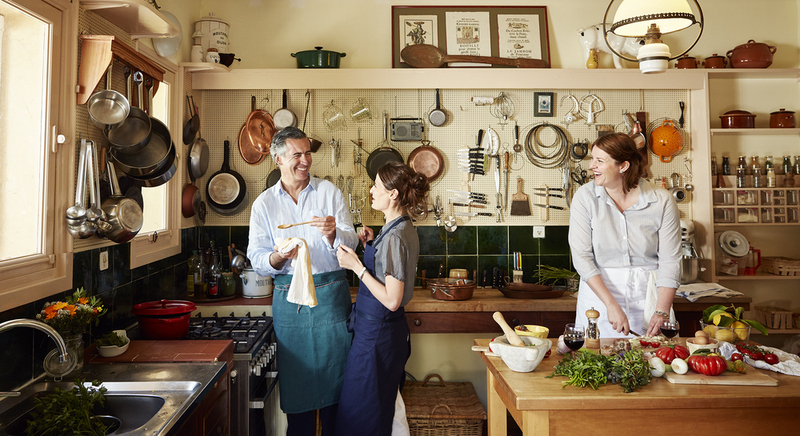 The U.K. country estate specializes in serious leisure, but come April 2017, guests have the chance to roll up their sleeves for hands-on culinary training, too. “The Kitchen” is a newly constructed schoolhouse surrounded by posh greenhouses and herb gardens, built to host an array of cooking classes designed by in-house chef Rob Cottam and British celebrity chef James Martin. The culinary team will oversee a roster of classic classes, from bread baking to cheese making, with a few modern tweaks for good measure (like a course in gluten-free cooking). 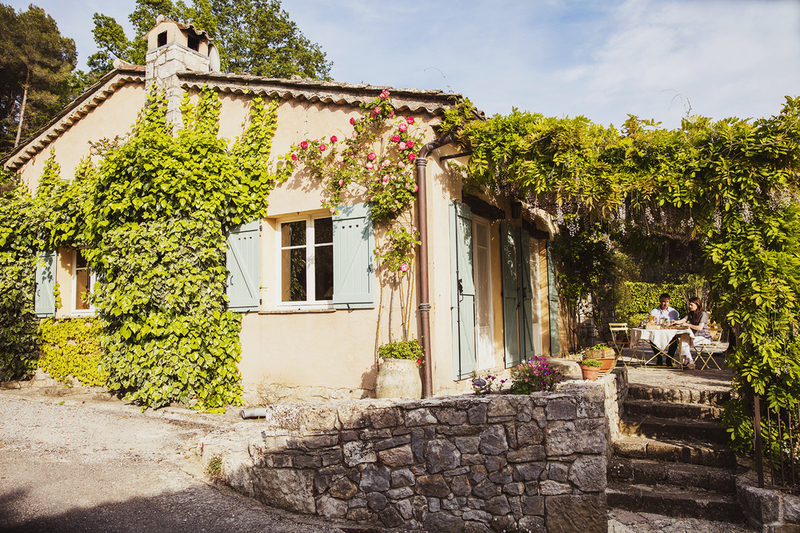 Julia Child’s former three-bedroom Provence vacation home—which she and friends like James Beard nicknamed “La Peetch”—is taking on new life as a destination culinary retreat. Guests of La Peetch will live in Child’s once-upon-a-time abode for five nights, julienning and chiffonade-ing in the kitchen she and her husband designed themselves—complete with custom tall counters to suit Child’s stature. Hone your skills in the personal space of an iconic personality who famously didn’t learn to cook until she was nearly 40. Designed by American-born, Bangkok-based architect Bill Bensley, the Four Seasons Resort Chiang Mai is laden with luxury—teak floors, appointed villas, serene pools… And now, surrounded by leafy banyan trees and lush gardens, the resort’s latest addition: the Rim Tai Kitchen. Focused on northern Thai cuisine, cooking classes at Rim Tai bypass conventional street food staples (ahem, pad thai) in favour of highly specialized regional dishes. Chefs lead guests beyond the resort’s terrain into local morning markets to source regional produce and obscure ingredients. These fragrant flavours return to the kitchen, where travellers whip them into aromatic curries and sizzling wok creations, and even a few local coffee and tea specialties.